Upscale oceanfront living at its finest! 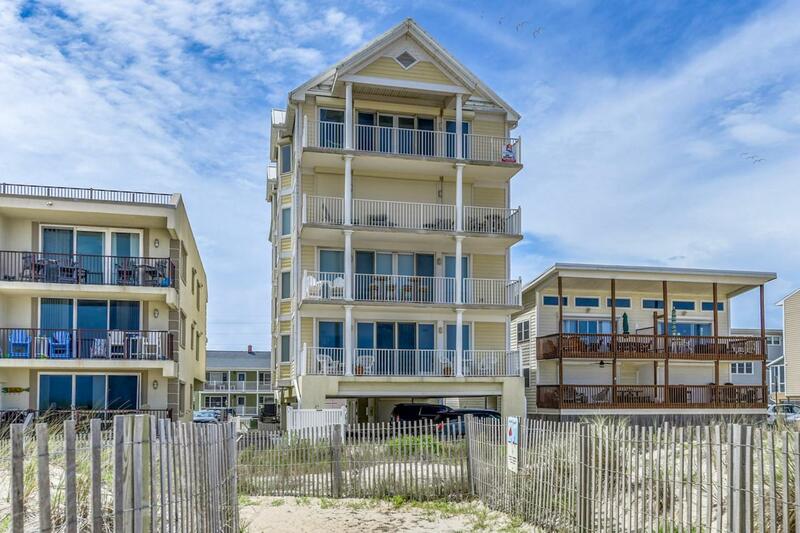 Ideal location, private 4-unit condominium on a low-density beach. 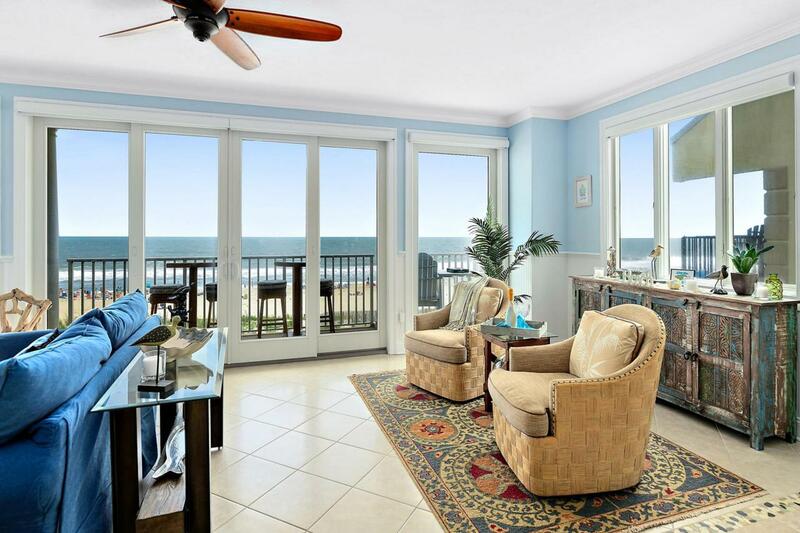 Breathtaking ocean views from the Main Living Areas & Master Suite of this 3 bedroom condo. 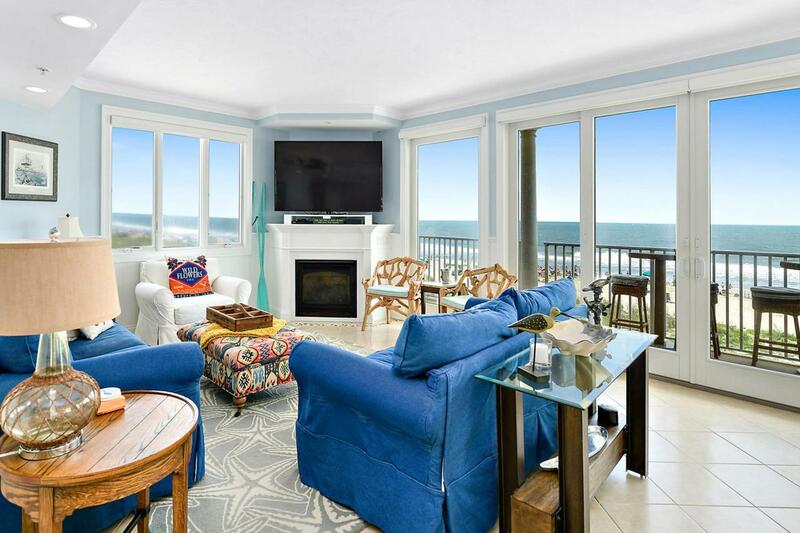 Tasteful coastal decor with unparalleled finishes & craftsmanship. Nothing builder grade remains in this unit as it has been meticulously maintained & improved by the current owner. Full kitchen remodel with new custom cabinetry, SS appliances, Wolf range, built in Sub-Zero refrigerator, & granite countertops. Added beverage center with two refrigerator drawers & new pantry for additional storage. Tile flooring, custom wainscoting, & crown molding throughout. Tankless water heater, gas fireplace, & automated shades have been installed in the living area. 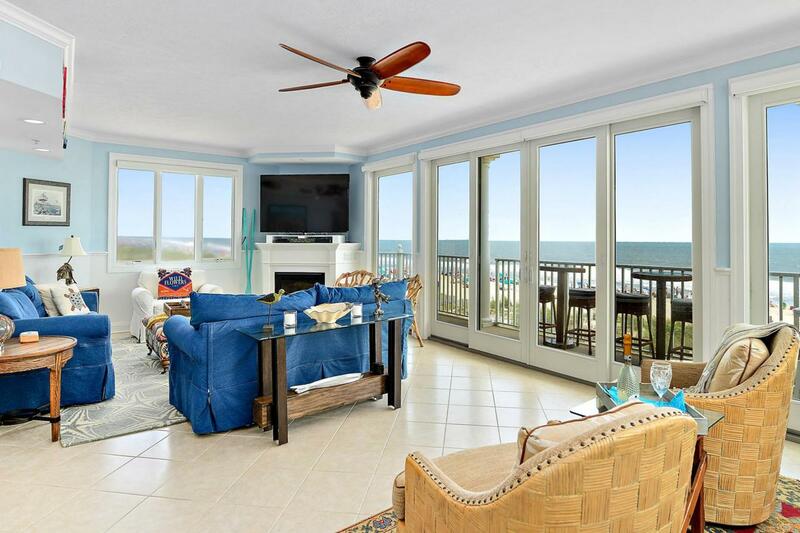 Outstanding sunrises are not to be missed from the 30ft oceanfront balcony or the convenience of the living room. Private elevator lobby with separate owner's storage & two assigned parking spaces. This stunning residence is a must see!